Raven Gates has been a class act from the time she got out of the limo. Nick and Raven's relationship surprised me, because I honestly thought she was cast for Luke Pell. The couple's differences seemed to fade early on in the relationship. She was the first person to meet his parents and they loved her. On the show, Nick and Raven always had fun and she seemed to worry more about how was doing instead of how she was dealing with the situation. Post-show I don't think there would've been any issues on where they would've lived. Someone could've managed Grey Suede for Raven, while she lived with Nick in LA. Ultimately, Raven was the better choice for Nick on The Bachelor. On the press call, she was sweet and genuine to everyone who asked her a question. She didn't avoid any questions and showed her humorous side. Friendships are important on The Bachelor and we have seen a lot of form during this season. The strongest relationship to come out of The Bachelor' this season was the Rachel and Raven friendship. When asked about who she made friendships with in the house she remained honest, but kind. 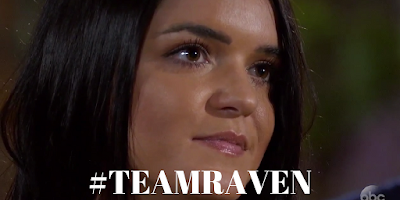 Now for love, I had to know what qualities Raven is looking for in a man on Bachelor in Paradise. "I want someone who, if we are out having drinks to dinners and there’s a band playing and there's a dance floor, that he, one, has initiative to take my hand and bring me on the dance floor," Raven said. "Two, who doesn’t care what anyone else think and just hold on with me and three, choose me to dance first." 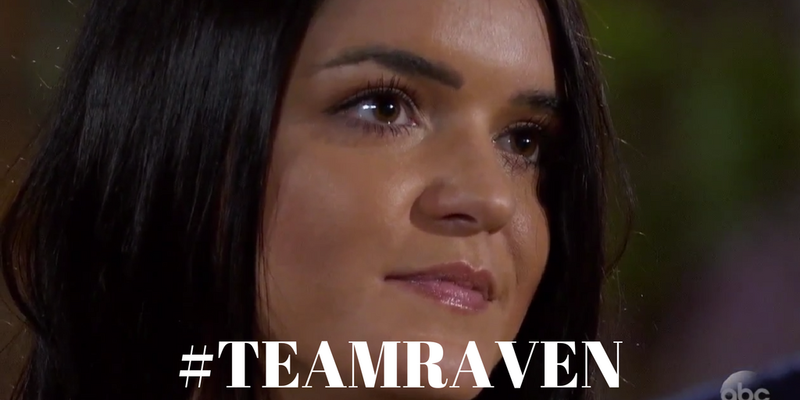 Raven knows what she wants and I can't wait to watch her look for love on 'Bachelor in Paradise.' Who do you think would be the best person for her?